CLICK HERE FOR BLOGGER TEMPLATES AND MYSPACE LAYOUTS ? 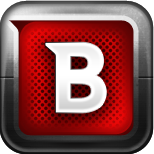 BitDefender Online Scanner is an on-demand virus scanner which incorporates the award-winning BitDefender scanning engines. You can use it to scan your system's memory, all files and drives' boot sectors, and to automatically clean infected files. F-Secure Online Scanner helps to get rid of viruses and spyware that may cause problems on your PC, and it works even if you have another security software installed on your computer. F-Secure Online Scanner is easy to use with just a couple of clicks: just download it and run it. It does not leave anything on your PC. The size of the download package is about 4.2 MB. Trend Micro HouseCall is an application for checking whether your computer has been infected by viruses, spywareor other malware. HouseCall performs additional security checks and allows to remove detected infections. Restores damage caused by malware to your system. The ESET Online Scanner is the Web's best free virus scan. A user-friendly, powerful tool, our online antivirus utility can remove malware—viruses, spyware, adware, worms, trojans, and more—from any PC utilizing only a web browser. No installation required. The scanner uses the same ThreatSense® technology and signatures as ESET NOD32 Antivirus, which means it is always up-to-date.